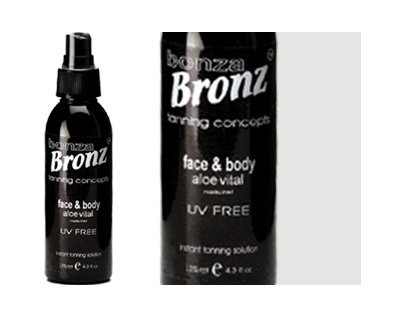 Bonza Bronz® Aloe Vital Professional Spray-On Tan for home use. Contains botanical extracts to keep skin smooth and evenly tanned. So, treat yourself to a rich, luxurious tan without exposure to the sun's harmful rays which can lead to premature aging and skin cancer.